You might be already familiar with my most recent obsession of highlighting my face into a glittery disco ball. If not, 'Welcome' to you! 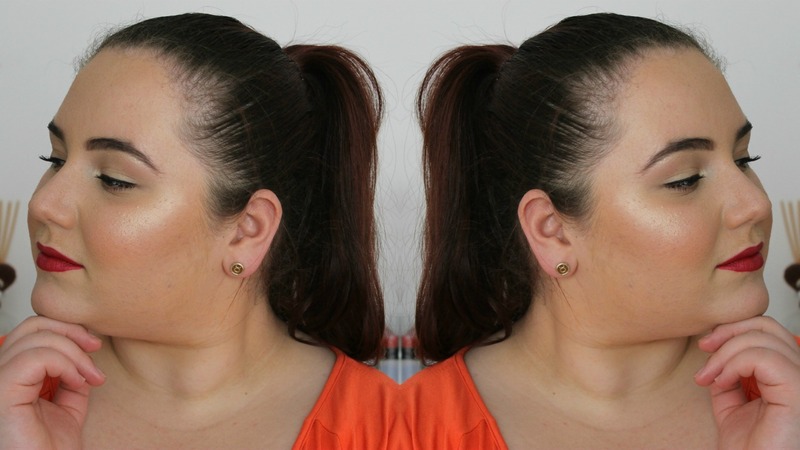 Ever since stumbling across the highlighter combination that is Mary-Lou and a certain liquid Skin Tint, I have been envisioning this glowy, illuminated makeup look that will take your ordinary daily makeup to epic, highlighted proportions. 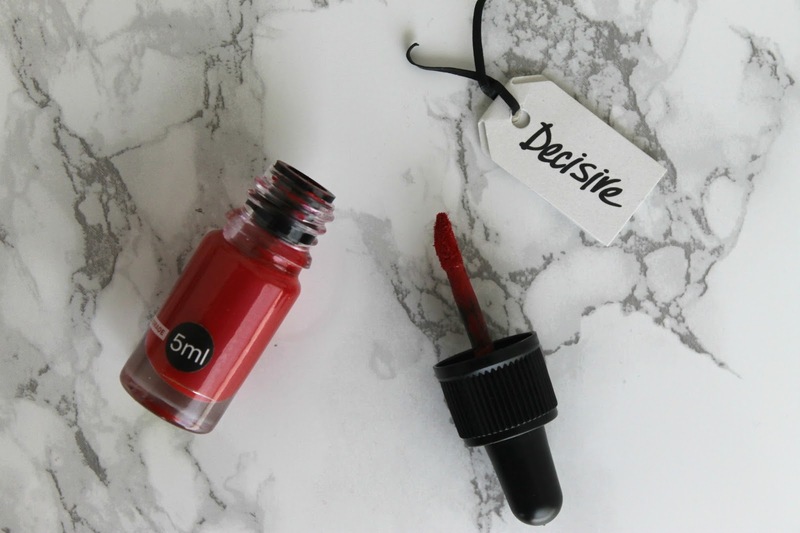 After first stumbling across Lush's new range of makeup items, I was quickly entranced by these liquid lipsticks. 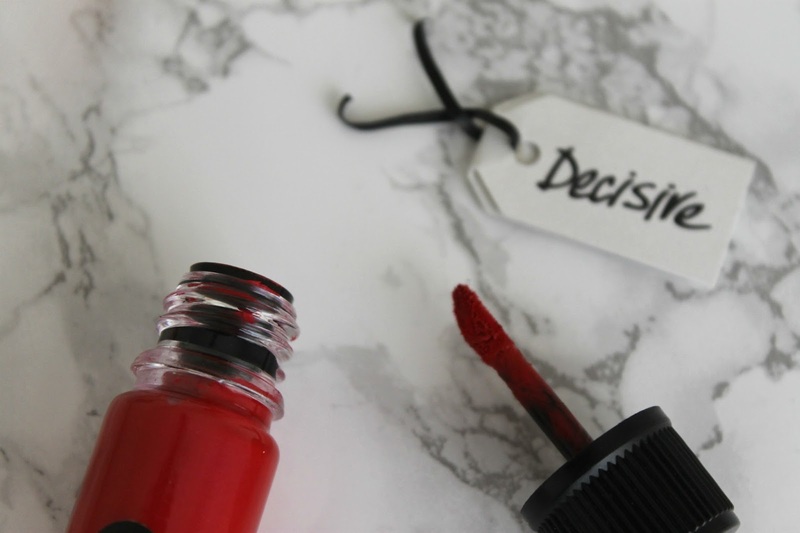 Decisive* is one of the many gorgeous array of colours they currently offer both in store and online and boasts a gorgeous cool-toned red, perfect for the upcoming festive season! I feel like the more and more I play around with highlighting, the more obsessed I become. Does anyone else feel that way about highlighter? Just me? What is one makeup trend you are loving at the moment? Aww thanks so much Kay! You're so sweet! You are so gorgeous, thank you my love! ps. your hair looks amazing worn up! Aww thanks so much Gabrielle, you're so sweet! The lip shade look great and it seems amazingly pigmented. It's so gorgeous, I should definitely wear it more often! Aw such a beautiful tutorial! You make up is flawless! I'm in love with that lipstick shade! Nice video as always! Aw thank you, you are too sweet! You look gorgeous Anjelique! I love that shade of red and your skin looks flawless!